They served their country, now they look after each other. Meet the SEALs who have each other’s back on and off the battlefield. James “Mickey” MacBride retired from the teams with a solid record of mission accomplished. Now at odds and ends, he accepts the request of his retired Petty Officer grandfather. They want to gather the children of the USS Arizona—the descendants of the 355 survivors—for a special event. No problem, how hard can finding one woman named Arizona Kensington be? Jesse “Flint” McCoy spent the year since he left the SEAL teams building a security business with his former teammate and best friend Cannon. They’re a private operation, and they don’t advertise. Though they prefer overseas missions, they take the occasional domestic assignment—such as when an old friend calls because he’s worried his sister might be in over her head…what’s a good buddy to do? 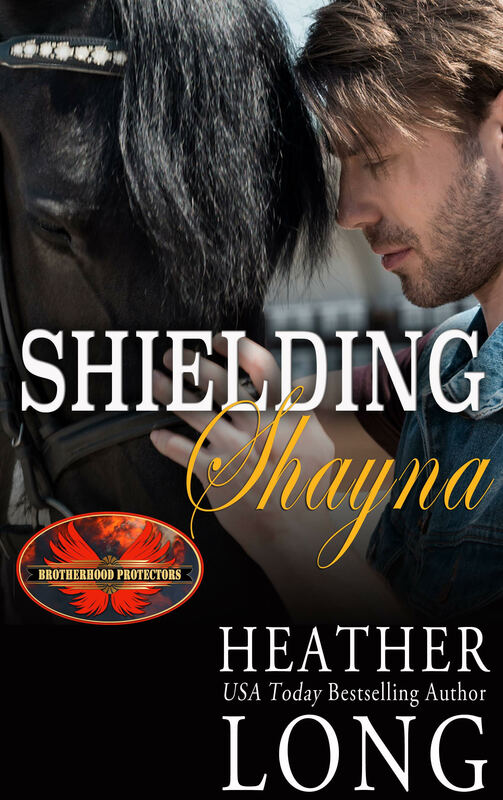 Sent to protect Wanda, Clayton “Brick” Wall’s not prepared for the stubborn, infuriating woman determined to do it her way. All he needs is one foot to get in the center ring. Fortunately Hondo has four paws and Wanda’s charmed by him. Fergus “Oddjob” Roper went into the Air Force at 18, before making a lateral move to the Navy, and then left the SEALs when he was 33. After 15 years of service, two wars, multiple deployments and 3 degrees, he’s looking for his next mission. After a year in Texas working with a horse trainer specializing in equine support animals, he’s heading to Montana to visit with old friends. He came for the beer, and stayed for the women…one woman in particular. Oddjob doesn’t mind mucking stalls, or helping out on the project—but what he wants is to shield the woman who saved his life, even if she doesn’t know it.